Henry Holt and Co. (BYR), 9780805080728, 40pp. As a child, Josef Albers loved to watch his handyman father paint houses.When Josef grew up and became an artist, he reduced each image to its simplest shapes, breaking it down into blocks of color. He made an incredible discovery: he could alter the entire mood of a painting just by changing the way he combined the colors! 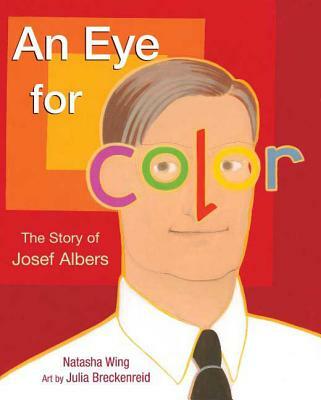 Josef spent his entire life studying color, and what he found revolutionized the way people look at art. NATASHA WING grew up just down the street fromartist Josef Albers. The author of the bestselling The Night Before series, she lives in Fort Collins, Colorado.